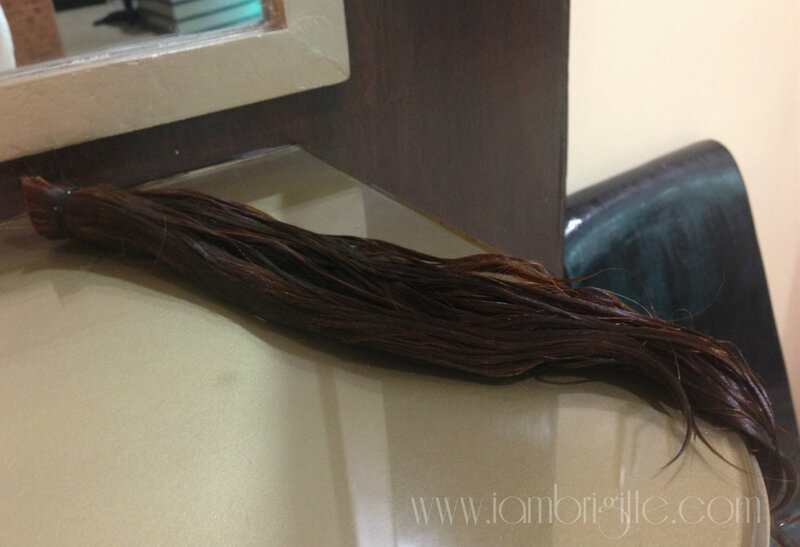 IAMBRIGITTE : From my long curly hair, to my fab short 'do…. 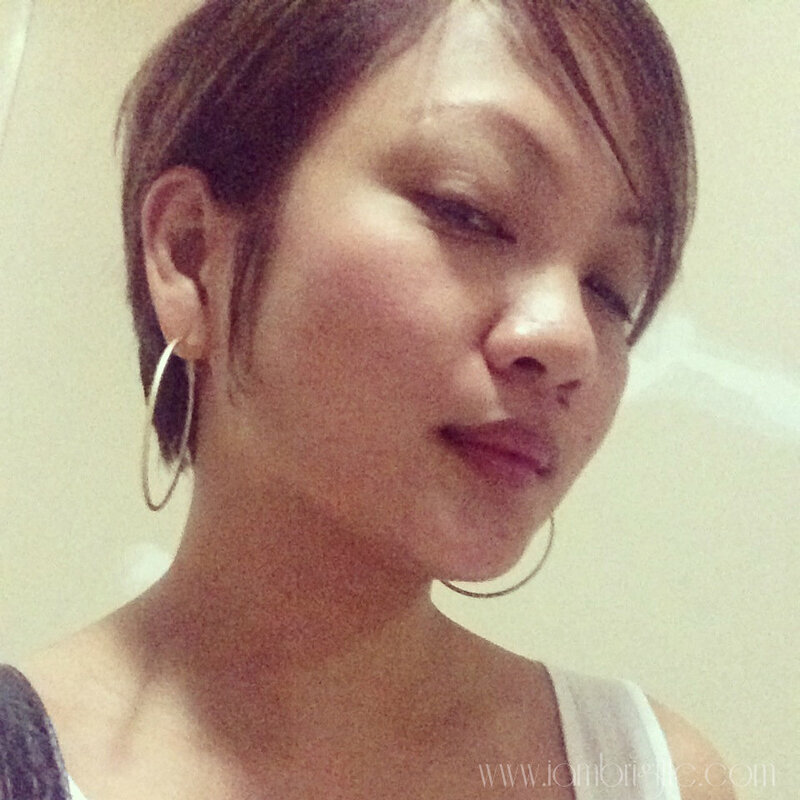 From my long curly hair, to my fab short 'do…. When it comes to my hair, I've always been (sort of) adventurous. I've gone from my natural hair color of medium brown to semi-blonde (I've also tried to be a red head once! 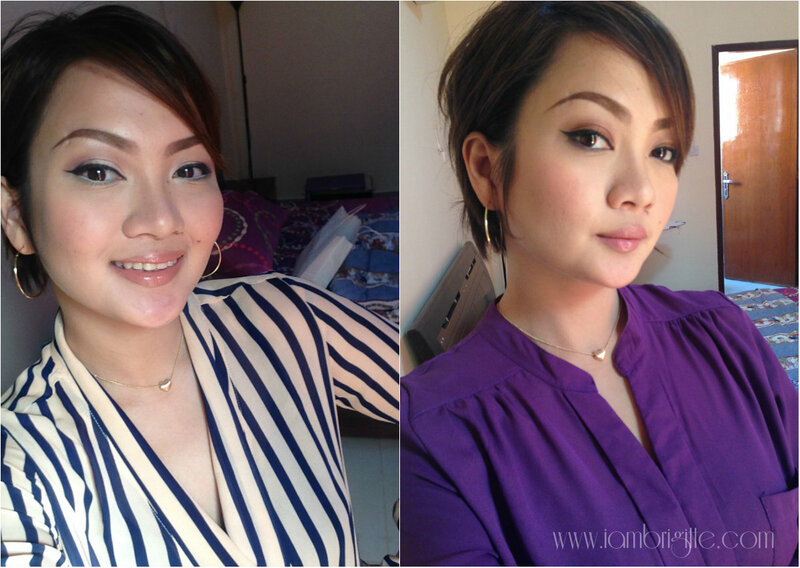 ), from straight to curly and for so many times already, from long to a short 'do. And when I make (drastic) changes to my hair, it's not because I got brokenhearted (like some women do) but just because I got tired of my looks and I want to look new. 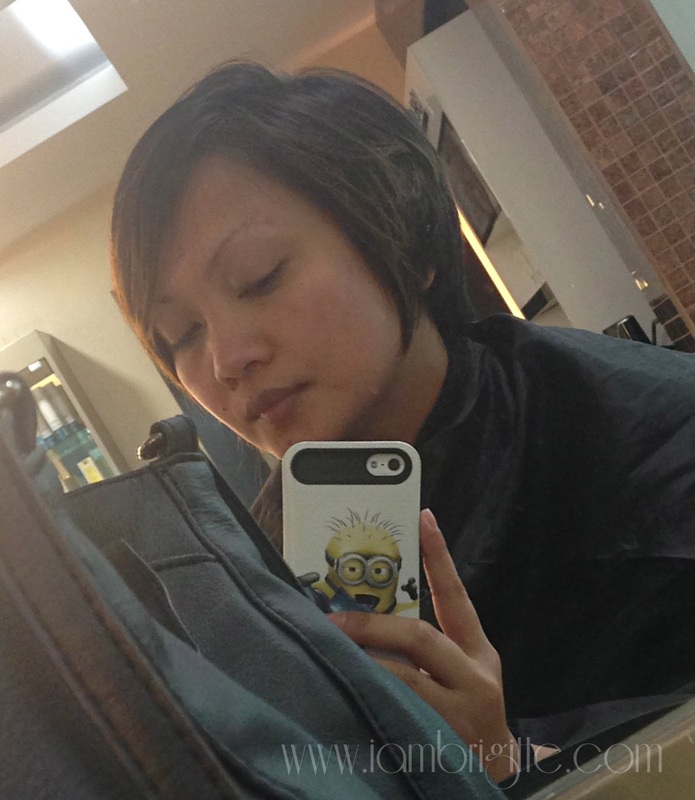 I don't even get hinayang to my hair, as for me, it's just hair…and it will grow back. Last year, I went from having straight hair to curly. 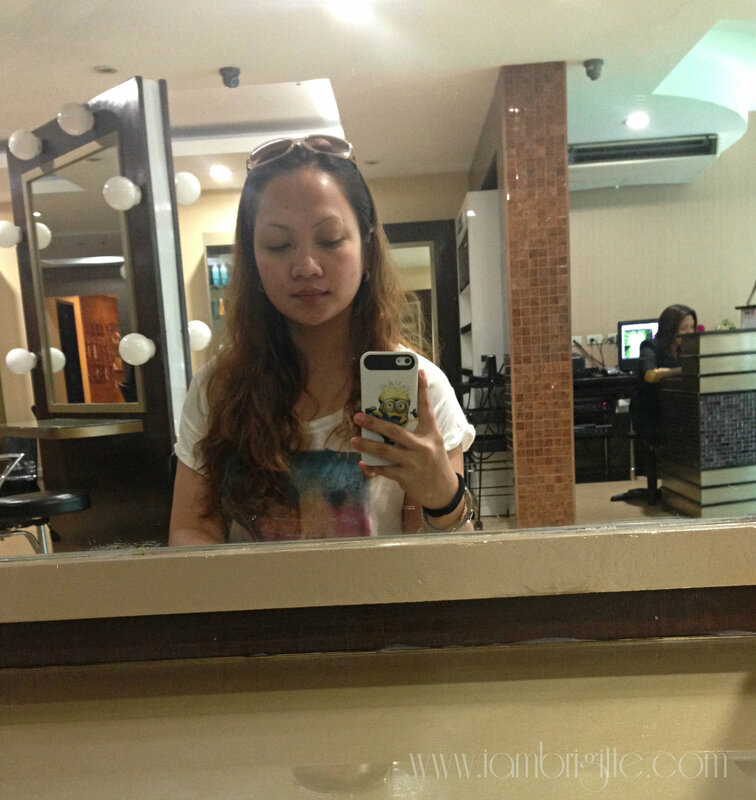 I've always wanted to experience having a long, curly hair as I've always had straight hair. I had my hair permed twice and was happy that I've finally crossed out an item from my bucket list. But after a few months of living here in UAE where water can be oh-so-drying, I again decided to move on and give my hair a restart. I also need a new hair color as the regrowth is already so obvious! My dilemma was where to go to have it done? Hair services here can be so damn expensive, I once got a haircut for AED270 so how much more if I'm getting a hair color too!? Even if I'd be willing to pay for such amount, I wanted to go to someone that has been tried and tested by friends. 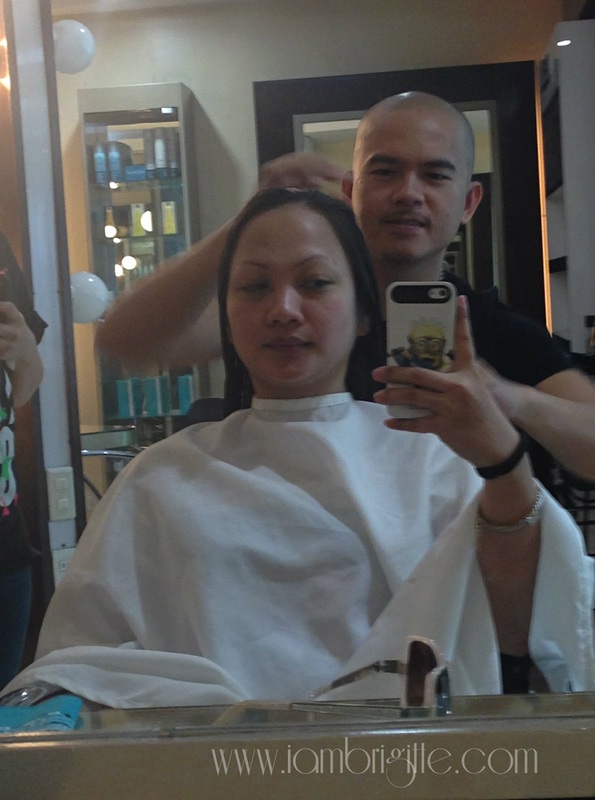 I've talked to my friend Michelle about it and she recommended her long-time friend and hairstylist, Abel of Menage Salon in Makati. 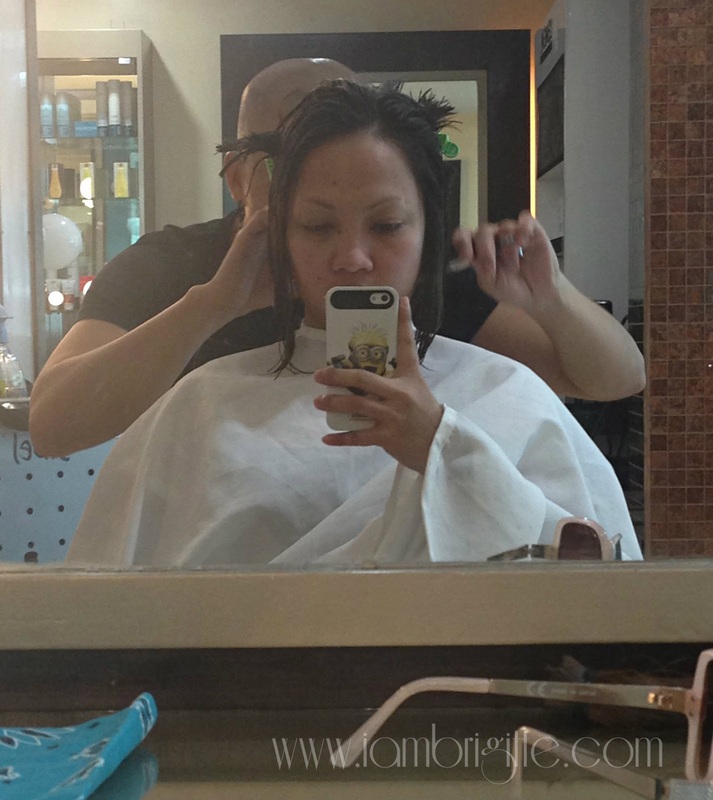 I've always admired her short 'do and haircolor so I've added the salon visit to my itinerary on my vacation to PH last March. And then the day came. I like that Abel is willing to adjust to his clients' schedule. He usually comes in to the salon at 11 but for me and Michelle, he came in half hour past 9 because we had to leave at noon. Me: Wait! Wait! Let me take a long breath first! I asked Abel to make sure the cut wouldn't emphasize my big cheeks and my double chin. 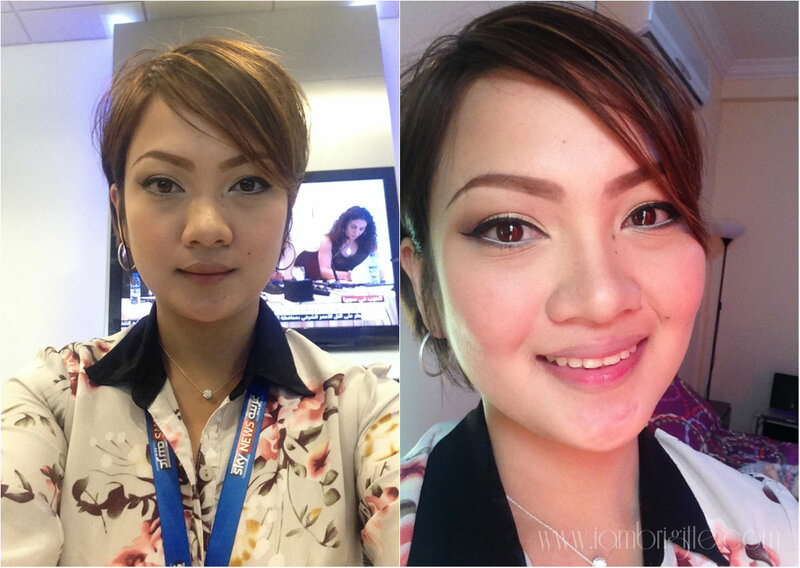 I don't want to end up looking like a siopao, no! Of course I don't really need to tell him that, he knows that already. OMG, my head felt so light after! 'twas like 2004 once again, when I last had a short 'do. After the haircolor (full head + highlights), he snipped some hair again for the final styling. I have really fine hair and though Abel managed to make it look like it has volume, I still put wax and style ala-bed head. It's been more than a month when I got my haircut. And I am SO LOVING it! People have been complimenting me with my new 'do. Even my mom loves it. As for Mr. X, well, he still prefers me with long hair. What's with men and long hair for women, really!? I love that my cut didn't emphasize my big cheeks, instead it made me look like I have a slim face! I love, love my hair style now and I ought to keep it this way until hmm, next year? Now my problem with having short hair is that I have to get it trimmed at least every month. My hair for some reason, grows fast. Di uso sakin yung nagtatampo ang hair at hindi na humahaba. And so I'm faced with the same problem again…where to go to have it done? Should you have any recommendations, please let me know. Much better if it's not as expensive like the first salon I went to for a haircut last year, because I'd be needing a trim every month. 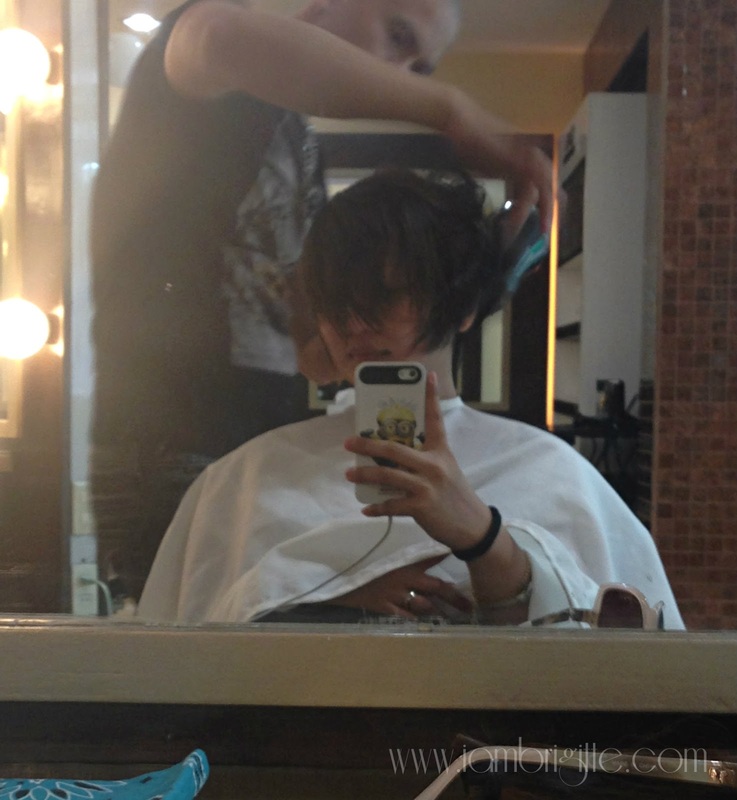 I wish I can go home as often so Abel can take care of my hair problems! Or better yet, I hope Abel comes here in UAE. I am sure he'd be a big hit here! He's so down-to-earth, soft-spoken and he really is a Pro! And he doesn't hard-sell ha! He won't offer you stuff you don't really need. And he listens to what his customer wants! 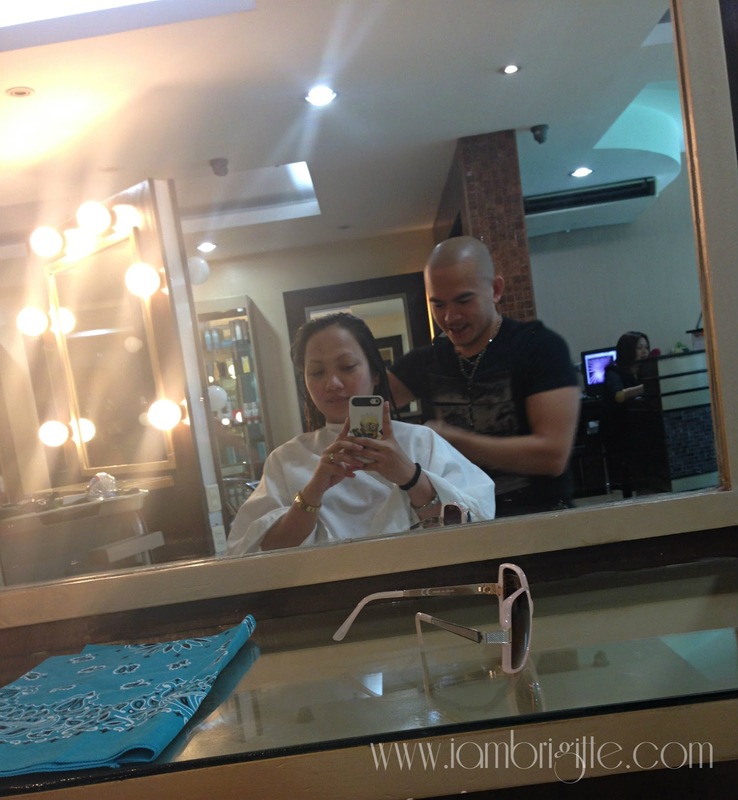 If you are in PH and wants to get a vavavoom hairstyle, visit Abel at Menage Salon. 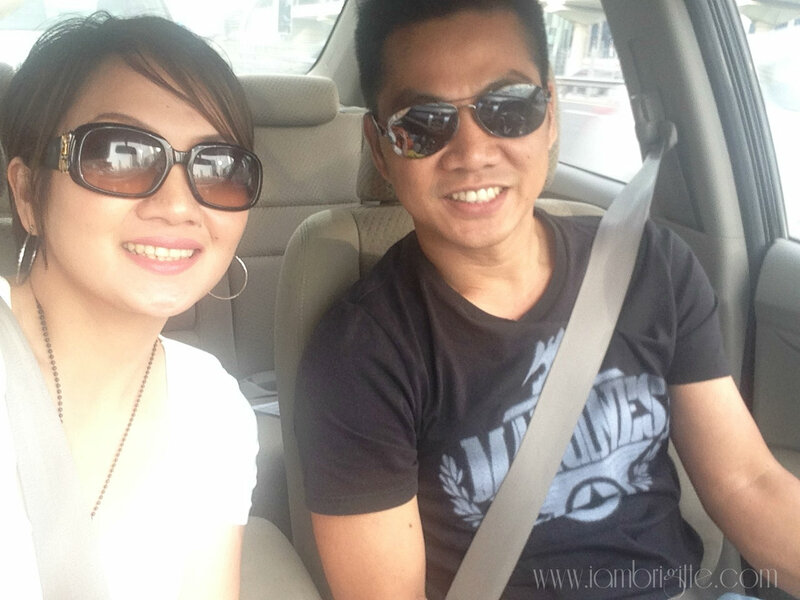 He has a lot of well-known clients and I heard, he's a hairstylist to the rockstars! And lastly, he looks like Jake Cuenca, yes!? Thanks Abel for my fab haircut. I would surely visit you again when I go home to PH this December. Or puntahan mo na lang kaya ako dito!? Tee-hee! I love your new design and layout sis. Just wanted to say I've been following/reading your blog for years and I really appreciate the makeup tutorials you post. It's so nice you've been updating more often!